1) (Robertstown and Rathnally, co. Meath; registered to Thomas Carter, Esq., Serjeant at Arms, father of the Right Hon. Thomas Carter, Master of the Rolls of Ireland). Ar. two lions ramp. combatant sa. Crest—On a mural crown or, charged with three hurts, a talbot pass. ar. Motto—Victrix patientia duris. 2) (Watlington Park, co. Oxford). Ar. two lions combatant sa. quartering Shaen (O’Ferrall, of Annaly), viz., vert a lion ramp. or. Crest—On a mural crown or, a talbot pass. ar. charged with three buckles az. Motto—Sub libertate quietem. 3) (St. Columb, co. Cornwall, originally from Staffordshire. Visit. 1620). (Cold Aston and Sevenhampton, co. Gloucester). Az. two lions ramp. combatant or. Crest—A lion’s head erased ar. Another Crest—On a mural coronet sa. a talbot pass. ar. 4) (Kent). Quarterly, ar. and az. a cross counterchanged, a bordure sa. Crest—A dexter arm in armour, embowed ppr. holding in the hand a roll of paper. 5) (London; granted 1612). Ar. a chev. betw. three cartwheels vert. Crest—On a mount vert, a greyhound sejant ar. sustaining a shield of the last, charged with a cartwheel vert. 6) (London). Sa. a chev. erm. betw. three fishes haurient ar. 7) Az. a cross flory, in the first quarter a mullet ar. on a chief gu. three round buckles or. Crest—A talbot’s head ar. charged with a mullet gu. 8) (Massington). Gu. a cross flory or, on a chief az. three round buckles of the second. Crest—A talbot’s head ar. 9) (co. York). Sa. a talbot pass, or, in chief three round buckles ar. Crest—Out of a mural coronet ar. a demi monkey ppr. 10) (Letrington, co. York, 1666). Az. a talbot pass. betw. three round buckles or. Crest—A lion’s head erased or, fretty sa. 11) (granted to Emma, wife of Christopher Holdsworth Dawson, Esq., of Weston, co. York, dau. of William Elmsall Carter, Esq., and co-heiress of her brother, William Vavasour Carter, Esq., of Weston). Per pale ar. and sa. a talbot pass, counterchanged, on a chief engr. gu. three buckles or. 12) Ar. on a chev. betw. three catharine wheels sa. as many cinquefoils of the first. 13) Sa. two lions ramp. combatant or. 14) (Hanbury, co. Worcester). Az. a talbot pass. or, armed and langued gu. betw. two fermaux of the second. 15) (Fun. Ent. of James Browne, a Six Clerk in Chancery, d. 16 May, 1634, whose wife was Margaret, dau. of Rev. John Carter, Rector of Killacan, co. Westmeath). Sa. a cross lozengy ar. betw. four quatrefoils pierced or. 16) (Collection of Molyneux, Ulster, 1597-1632). Ar. a cross lozengy gu. betw. four quatrefoils vert on a chief sa. three plates. Crest—A demi lion ramp. sa. holding betw. the paws a cross lozengy gu. each lozenge charged with a plate. This English, Irish, and Scottish last name is an occupational name meaning “the carter”, a person who transported goods and products in medieval times, deriving from the word Middle English word cartere or carte, which in turn derives from carte and the Norman French word caretier, which in turn derives from the Old French word caret or charetier, which in turn derives from the Old English craet and the Old Norse kartr, both of which in from the Celtic language and/or the Latin word carettarius, which ultimately refers to a cart, a wheeled device used to transport goods. One author also surmises that the name is related to the Norse word Köttr, which is a cat, although I can find no other source to corroborate this origin theory and meaning. In Gaelic, the word cairtear means a tourist or sojourner. George Fraser Black’s 1946 book, The Surnames of Scotland, states the following in regard to this surname: “From the occupation, a ‘carter,’ driver of a cart; the headman in the stables on a farm. 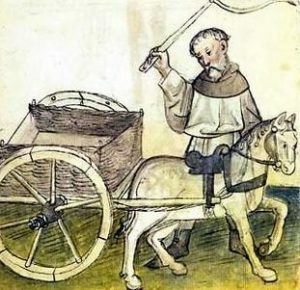 James Cartare witness in Edinburgh, 1439. 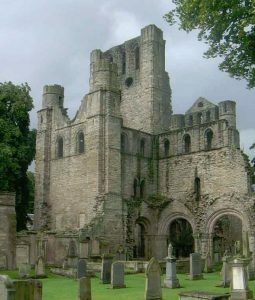 Hob Carter was a tenant on lands of the Abbey of Kelso, 1567”. Many bearers of this name ended up coming from Ireland to the United States during the Great Potato Famine of the 1840s. Within the several hundred years, the Carter last name has was adopted widely by the African American community, either due to ethnic black and Irish mixing, or more commonly due to the fact it was taken from slave masters. Common spelling variants or names with similar etymologies include Carttar, Cartere, and Charter. It is also a reduced or shortened version of the Northern Irish surname McCarter. Foreign similar names include Kahtar/Kottr (Norse), Kathe/Katte/Kartte (German), Kater (Dutch), Cartaud, Cartiaux, Cartier, Chartieau, and Cattier. It is also related to the last names McCarthy, McArthur, McCartnet, or McCarter. The last name Carter ranks 46h in popularity in terms in the United Status as of the 2000 Census. The name ranks particularly high in the following six states: Georgia, Virginia, North Carolina, Tennessee, Maryland, and Mississippi. The surname is nearly are frequent in England, where it ranks 56th. It ranks highest in the following counties: Essex, Berkshire, Cambridge, Hertfordshire, and Huntingdonshire. In Scotland, the name is most frequent in Kirkcudbrightshire. In Ireland, Carter is frequently found in Queen’s County and Kildare. In Wales, the surname is most often found in Monmouthshire. The name is common throughout the English speaking world: Scotland (274th), Wales (80th), Ireland (523rd), Canada (145th), New Zealand (70th), Australia (71st), and South Africa (596th). The 1890 book Homes of Family Names by H.B. Guppy, states the following in regard to this surname: “Well distributed over England. It is best represented in Cheshire and Essex, and afterwards in Cambridgeshire, Devon, and Sussex”. The earliest known bearer of this surname was Rannulf le Caretier who was documented in the Pipe Rolls of Huntingdonshire in 1192 AD. The Hundred Rolls of 1273 AD, a census of Wales and England, known in Latin as Rotuli Hundredorum lists six bearers of this surname: Jocius Catetarius in county Oxfordshire, Juliana le Cartere in county Cambridgeshire, Nicholas le Carter in county Oxfordshire, John le Cartere in county Norfolk, Robert le Caretter in county Huntingdonshire, and Margaret le Careter in county Huntingdonshire.The Poll Tax of Yorkshire in 1379 AD lists one bearer of this last name: Richardus Carter. An early baptism involving this surname was Edmond Carter, son of James, at St. Magdalene in Bermondsey, London. Early marriages involving this last name include Richarde Carter to Cecily Ellmar at St. James Clerkenwell in London in 1574 AD, Robart Carter to Margaret Byllynge at St. Dionis Backchurch in 1570 AD, and Elsabethe Carter to William Evans at St. Margaret’s in Westminster, London. Sir Knight NN LeCaretier was born in France in 1150 AD. He married a woman named Eol and had a son with Philepe. Philepe Carette was born in France in 1175 AD. He married a woman named Mary Ellena (last name not known) and they had a son named Odonius. Odonius, or Odo, was born in 1200 AD in Bedfordshire, England. He married a woman named Sabina, and had three issue with her: Roger Hemdesworth Charetter, Hugh Lecharetter, and Felicia. His son Roger was born around 1222 AD and he married twice, to woman named Amicia and Sibilla, whose surname are unknown. He left the following children: Gilbert Charetter, William, Richard, Robert, and Philip. His son Philip le Carter was born in 1259 AD. He married a woman named Emma and they had three sons: Peter, Thomas, and Johannis. His son Johannis was born in 1289 AD in East Riding, and he married a woman named Alicia, with whom he had the following issue: Nicholas, Henricus, Roger, Hugh, Willemus, Ingram, Richard, and Johannis. His son Johannis was born in 1316 in the same town and he married Agnes Brome, with whom he had the following issue: Johannis, Thomas, and William. His son Johannis was born in 1340 and he married twice: Alicia Bauer and Matilda Marshall. He had four sons: Richard, Edwards, Edmund, and Thomas. His son Richard was born in 1362 in Beverly. He married a woman named Joan and they had two sons: John and Thomas. His son Thomas was born in 1411 in King Langley and he had the following children: Margery, Clemence, Thomas, Joanna, Margaret, and William. William Carter was born in Hinderclay in Suffolk, England in 1585 AD. He married Judith Richardson and he had a son named Thomas. This Thomas was the 1st Reverend of Woborn and was born in England in 1608. He went to the United States. His wife was Mary Parkhurst, with whom he had the following issue: Samuel Sr., Judith, Theophilus, Mary (Batchelder), Abigail (Flanders), Timothy, Thomas, and Sarah (Davis). His son Reverend Samuel Carter Sr. was born in Watertown, MA in 1640. He married Eunice Mousall Brooks Kendall in 1672. They had the following children: Mary (Sawyer), Samuel, Samuel Jr, John, Thomas St., Nathaniel, Eunice, and Abigail (Jameson). His son Samuel Jr. was born in the same town in 1678. He married Dorothy Wilder and they had the following issue: Samuel, Eunice, Nathaniel, Anna, Dorothy, Jonathan, Ephraim, Oliver, Mary (Whitcomb), Elizabeth, Prudence (Buss), and Josiah. 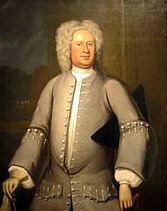 His son Josiah was born in Lancaster, MA in 1726. He married Tabitha Howe and they had numerous children together: Tabitha, Tabitha (Fairbank), Josiah, Jude, Sarah, Zerviah, Relief, Mary, Abijah, Jacob, Relief, James, Relief, and Jonas. His son Major Josiah Carter was born in 1749 Leominster, Worcester, MA. He married Elizabeth Graces and Prudence England and he had the following issue: Sally, Josiah, Betty, Joseph Warren, Eusebia, Sophia (Maynard), Artemus, Polly, Peter, Nancy (Bowers), Prudence, and Alfred. The famous genealogist Bernard Burke’s book “The Landed Gentry” discusses one of this family: 1) Carter of Watlington Park. It begins with a mention of Henry Tilson Shaen Carter, Esquire of Watlington Park in county Oxford, a member of the 17th Lancers, who was born in 1846 and succeeded his father in 1875. In 1867, he married Adelaide Elizabeth, daughter of Denis Bingham of Castle Bingham in county Mayo. Burke traces the Carter genealogy back to Thomas Carter, Esq. of Robertstwon in county Meath, a gentlemen an Sergeant-at-Arms, who served King William during the Revolution at the Battle of Boyne. 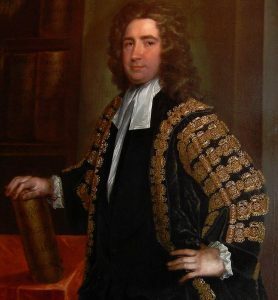 He married Margaret Houghton and they had a son: The Right Honorable Thomas Carter who was Master of the Rolls, Secretary of State, and Privy Councillor and was of Robertstown and Rathnally in county Meath. In 1719, he married Mary, daughter of co-heiress of the 1st Earl of Rosse. 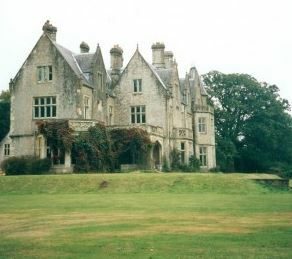 They had the following issue: Thomas (Member of Parliament for Old Leighlin who married Anna Maria Armytage), Henry Boyle, Frances (married Reverend Dr. Philip Twysden and later General James Johnstone), Susan (married Thomas Trotter of Dulcek), and Mary. His second son, Henry Boyle Carter, was Esquire of Castle Martin and a Captain in Colonel Irwin’s Regiment. In 1750, he married Susanna, daughter and co-heiress of Sir Arthur Sheen, and had the following children for her: Thomas, Colonel Arthur of the 14th Dragoons, and Mary (married John Kirwan). His eldest son Thomas was also an Esquire of Castle Martin and was born in May 1753. In 1783, he married Catherine, daughter of Honorable John Butler, and had four children with her: William Henry, John (Admiral in the Royal Navy, married Julia Georges), Thomas (Captain in the Royal Army), and Margaret (married James Hamilton of Ballymeacoll). His eldest won William Henry was born in 1783 and was Justice of the Peace, Deputy Lieutenant, and High Sheriff. In 1809, he married Elizabeth, daughter of Francis Brooke, and had the following issue with her: Thomas Shaen and Susanna (married Honorable Fracis Sadleir Prittie). His son Thomas Shaen was an Esquire of Watlington Park and Justice of the Peace, born in 1813. 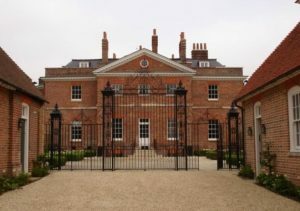 In 1842, he married Maria Susan, child and heiress of Colonel John Henry Tilson of Watlington Park, and they had 11 children together: Henry Tilson Shaen, George Tilson Shaen, Arthur Tilson Shaen, Francis Tilson Shaen, Ernest Tilson Shaen, Basil Tilson Shaen, Basil Tilson Shaen, Gerlad Tilson Shaen, Lionel Tilson Shaen, Augusta Susanna Shaen (married George Milward of Leehlade Manor), and Elizabeth Sophia Shaen. The Carter Family Crest was blazoned as follows: Argent, two lions combatant, sable quartering Shaen (O’Ferrall of Annaly), viz., vert, a lion rampany or, and Tilson. Burke also mentions another family of this name, partially: Bonham-Carter of Adhust St. Mary’s. John Bonham-Carter was Esquire of Adhurst St. Mary’s county Southampton, Justice of the Peace, Deputy Lieutenant, and Member of Parliament from Wincester in 1848-1874. 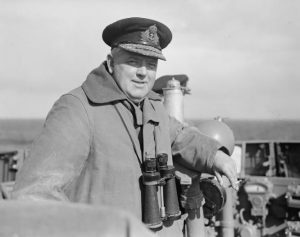 He was also a Lord of the Treasury, Chairman of Committees of the House of Commons, and Deputy Speaker. He was born in 1817 and in 1848, he married his cousin, Laura-Maria, daughter of George-Thomas Nicholson of Waverly Abbey in Surrey and later (in 1864) Honorable Mary Baring, daughter of Francis, 1st Lord Northbook. He was the son of Bonham-Carter, a Member of Parliament for Portsmouth (who assumed the additional surname in Bonham 1829) and Joanna-Maria (daughter of William Smith of Norwich). There is a famous actress, Helena Bonham Carter, born in 1966, who is a family English actress known for several roles (including her portrayal of Queen Elizabeth in the 2010 hit film The King’s Speech) was a member of this prominent, wealth, and political family. Robert Carter was a servant who arrived in Plymouth aboard the famous ship the Mayflower in 1620. John Carter came to St. Christopher’s, Barbados in January 1634. 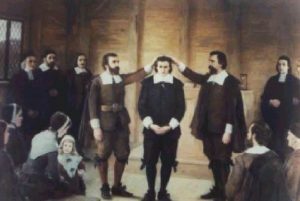 Thomas Carter was a servant who arrived in New England aboard the Planter in April 1635. Martha Carter, age 27, came to New England aboard the Hopewell in April 1635. James Carter, age 25, came to St. Christopher’s aboard the Paul of London in April 1635. Henry Carter, age 42, came to Bermuda aboard the Truelove in June 1635. John Carter, age 54, came to Virginia aboard the America in June 1635. Anthony Carter, age 22, came to Virginia aboard the Globe in August 1635. Joseph Carter, age 22, came to Virginia aboard the Safety in August 1635. Thomas Carter, age 25, came to Virginia aboard the Safety in August 1635. Margery Carter, age 23, came to Virginia aboard the George in August 1635. George Carter, age 28, came to St. Christopher aboard the William and John in September 1635. Christopher, age 45, of St. Gilt came to St. Christopher in 1634 from the Port of Plimworth aboard the Robert Bonvaveture. A one John Carter was recorded as living in Virginia in 1623, “in the maine”. A one John Carter came aboard a ship named the Prosperous, which may be the same man? A one John of this surname owned 100 acres of land at the Warosquoiacke plantation in Nere Mulbery Iland (in South Carolina, also known as Penn Farm or Hawk’s Nest). 3) Samuel Carter of Charlestown, MA was admitted freeman of 1647, member of artillery company 1648. He had children Hannah (1640), Samuel (1642), Zachary (1644), Mary (1645), and maybe others. 4) Thomas Carter of Charlestown, MA who was a freeman in 1637. With his wife Ann, had children Ann (1640), Elizabeth (1642), Thomas (1642), and maybe others. He died in 1694 at the age of 88. 5) Reverend Thomas Carter of Woburn, MA, the first minister in the town, was educated at St. John’s College in Cambridgeshire, England. He was ordained at Watertown, MA in 1642 and died there in 1684, at the same of 74. His wife was named Mary and he had children named Samuel (1640), Judith, Mary (1648), Abigail (1649), Deborah (1651), Timothy (1653), and Thomas (1655). His coat of arms was Argent on a chevron between three cart-wheels vert. Crest: On a mount vert, a greyhound sejant argent sustaining a shield of the last, charged with a cartwheel vert. Oscar Charles Sumner Carter was born in Philadelphia, PA in 1856 and was professor of geology and mineralogy at Central High School. In 1882, he married Elenora, daughter of John L. Martin of Harrisburg, and had one child with her: Oscar Sedgewick (1884). He bore the following Carter Coat of Arms identical to the one mentioned above. He was the son of C.B. 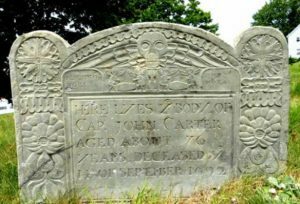 Carter of Nashua New Hampshire and Mary L. Brower of Norristown, PA. His ancestor was Reverned Thomas Carter (born 1610) of Watertown, MA. Charles Shirley Carter, M.D. was born in Annefield, Virginia in 1840 and he was a surgeon in the Confederate Army during the Civil War. He was also Director and Vice President of the People’s National Bank at Leesburg. He was educated at Penna. University. In 1867, he married Mary Mercer, daughter of Governor Thos. He bore the following Carter Family Crest identical to the one mentioned in the preceding paragraph. He was the son of Thomas Nelson Carter and Anne Willing Page. He was a descendant of Colonel John Carter, Member of the Burgesses for Virginia starting in 1649. 1) Arg a chev sa bet 3 catharine wheels [vert?]. Crest: on a mount [vert?] a greyhound sejant [arg] holding a shield [arg] charged with a wheel [vert?]. Notepaper of desc. of Rev. 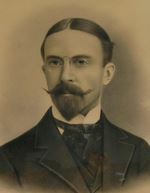 Samuel Carter, A. B. 1660, Harv. Coll. Son of Rev. Thos. Carter, M. A., St. John’s, Camb., of Woburn, Mass. Rev. Thomas’s daughter Judith married Samuel Converse, in whose family is a chest marked, 1684, with inverted Carter arms (?). See Converse Geneal., vol. 2, p. 902; also vol. 1, p. 12. 2) Arg a chev bet 3 cart wheels vert. Crest: on a mount vert a greyhound sejant arg sustaining a shield of the last charged with a cart wheel vert. Seal attached to deed of Landon Carter, 188 ept., 1752; also on tombstone of Hon. Robert Carter at Christ Church, Lancaster, Va.; also on tomb of Robert’s wife, Judith Armistead; also on that of Hon. Mann Page, who married a daughter of said Robert Carter. For a crest see Va. Hist. Mag., vol. 12, p. 437. Crozier Va. Heral., p. 97. William & Mary Quar., Jan. 1894, p. 157; Apr. 1894, p. 267. 3) Az a chev or bet 3 catharine wheels vert (?). Crest: a greyhound sejant (arg?) holding under the dexter a shield az (arg?) charged with a wheel of the field. Motto: Purus sceleres. Bookplate Robert W. Carter, Vs. Of Corotoman Creek. A memorial window, St. Mark’s Church, Phila., to Maria Carter, has arms. Charles Carter of Shirley used: Nosce te ipsum. Over the door beyond the “hanging stair” at Shirley there is a hatchment, but of whose arms I know not. Amer. Heral., vol. 2, p. 28. 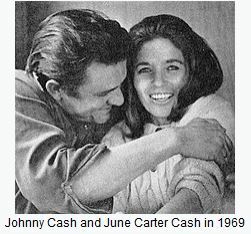 American businessman who was Governor of Virginia in 1726, 8) Chesley William Carter (1902-1994) who was a Member of the Canadian Parliament for Burgin-Burgeo and a senator from Grand Bank, 9) Deana Kay Carter (1966) who was an country artist from Nashville, Tennessee, and 10) Valerie Gail Zakian Carter (1953-2017) who was an American singer-songwriter from Florida who was a back-up vocalist for numerous famous artist in the 1970s and 1980s. The main heraldic symbol in the Carter Coat of Arms (often erroneously referred to as the Carter Family Crest) is the cartwheel. The two main tinctures (colors) are Sable (black) and Or (yellow), which signify which signify grief/wisdom/prudence and wisdom/glory/faith/generosity, respectively. My 8th great grandfa Thomas Carter moved to America from England in 1652 His wife Cathanie. I have Carter Clan generations paperback, keep it for me. I have always wondered where my family came from, I have heard the stories of my family coming from Ireland, but other than that I haven’t heard a word from where they truly came from before Ireland. I knew I came from somewhere with a mighty history. I have learned many things, my 12th great, great aunt Lucile Carter–A woman I have heard of before, but of course never met–she was on the titanic when it sunk, she survived on the 4th life boat with her children, thankfully they all survived. The oldest member of our family has passed away a few months ago, she was the one who told me the stories of Lucile when I was younger. She was alive during the great depression. The man she married fought in many wars, but I haven’t heard about him much from her, or anyone. I would have to guess it broke her heart thinking about him. All I can hope now is that she can finally see him again and that she’s happy where she is. That woman was a saint in our family. Now then, thank you for the information you have provided, and thank you for taking so much time in putting it all together. Maybe one day my family will learn the truth and not be so hostile towards one another in the future. Robert Carter ..the picture depicted is my direct great great great grandfather ..he later had manysons a Pvt in the CSA James Thomas Carter was my papas papas papa.. I traced our line all the way back to sir knight nn renulpf cartier born 1150? My family lineage is definitely a match (I can tell by the portraits and pictures, etc. )… but, this line described must be the cousins. My direct line straight up (7 generations to 1698 AD)are all fisherman and dairy farmers. 5 generations in Abbotsbury, Dorset, Weymouth (one Langton-Herring in there). Probably further back, but my records stop at 1698. My great grandfather worked in the lumber industry (falling trees or working in the mills or both), and my grandfather was a lineman for Pacific Power in Oregon and Northern California, USA.